In exactly 2 weeks you will be on board 70000TONS​ OF METAL 2017! 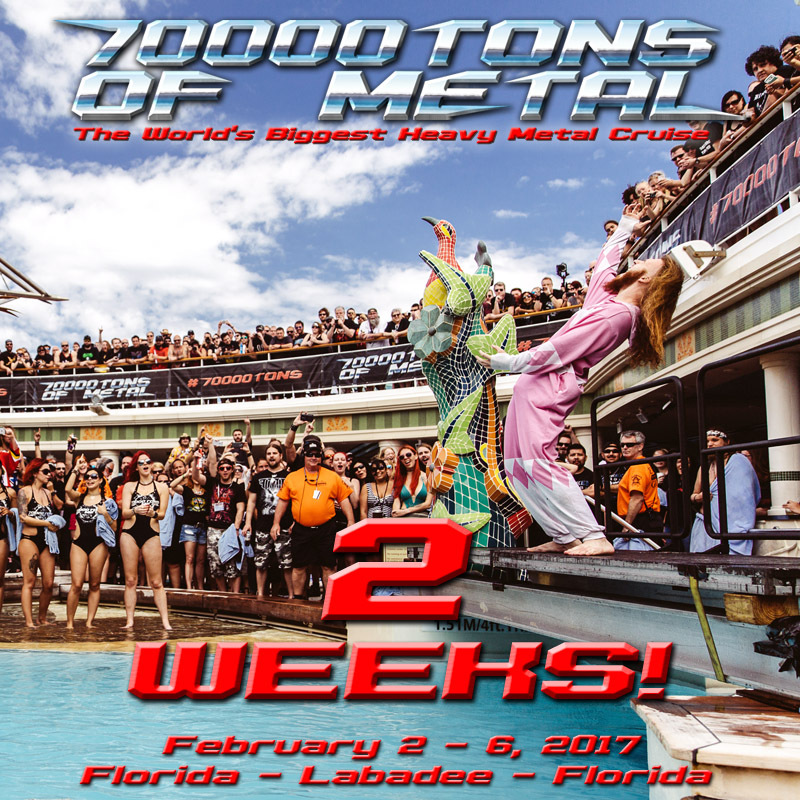 4 Days, 60 Bands, 1 Cruise Ship and only 3000 Tickets – Round 7 of The Original, The World’s Biggest Heavy Metal Cruise will sail February 2-6 from Ft. Lauderdale FL to Labadee on board the Independence Of The Seas. Haven’t booked your ticket yet? Click here to book now! Don’t wait, only a select number of Single Tickets and Private Cabins are left. You don’t want to miss the boat!